Geelong’s historic Woolstores may see an 11-storey redevelopment with a $100 million adaptive reuse of the Brougham St site. 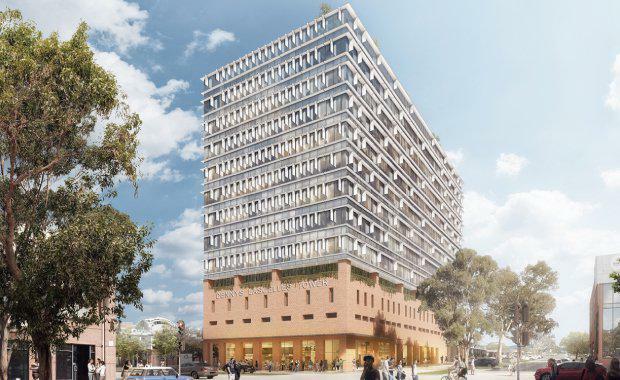 Maintaining the red brick façade of the Woolstores, the Dennys Lascelles Tower (DLT) will include over eight storeys of office tenancy totalling 13,450sq m of lettable area, 1,700sq m floor plates, 150 car parks and 100 bike parks with end-of-trip facilities. The DLT development will be rated with five-star Green Star and NABERS Energy Ratings and utilise the ground floor lobby with retail offerings. Dennys Lascelles Tower within its surrounding context. 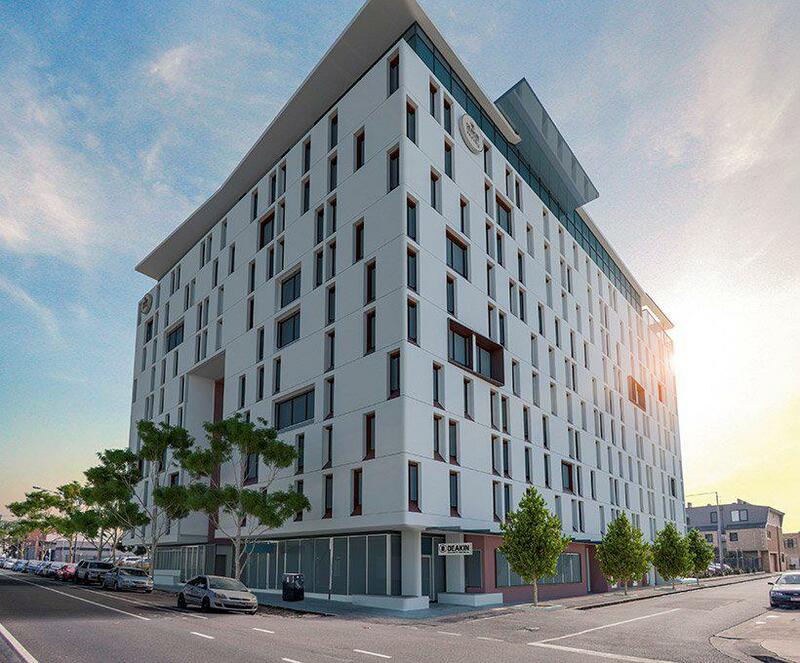 The project at 20 Brougham St is being undertaken by two local Geelong businessmen, developer Scott Vickers-Willis from Techne Development, and investor Dean Montgomery. Montgomery is noted for having a history of redeveloping heritage-listed sites, including Deakin’s T&G, an 11-storey student accommodation building on Ryrie St due for completion in mid-2018. Deakin’s T&G student accommodation building. The DLT proposal is being designed by Hassell architects and according to Techne will be built by an Australian owned and operated builder. 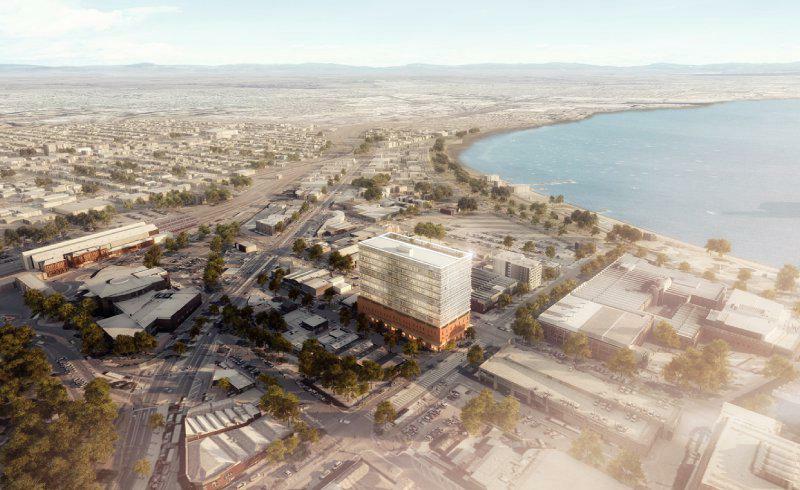 "We will maximise local development, ownership, management, contractors, sub-contractors, employees and consultants which will have a substantial beneficial economic and social impact on the Geelong regional economy." Techne said. The new tower in the heart of Victoria’s second largest city, will be named after Dennys Lascelles, a pioneering agricultural company that was prominent in Geelong whose name currently adorns the facade of the building. Geelong has seen a recent influx of development activity with DLT joining Worksafe’s $120 million office building, a fellow adapted heritage building which is expected to be completed in 2018 bringing 700 jobs to the area. Quintessential Equity, the team behind the six-star green rated Worksafe headquarters are incorporating the historical Dalgety & Co building in their design and also taking advantage of the commercial opportunities and renewed optimism within Geelong's CBD. According to Vickers-Willis there is ongoing interest from service providers, professional services organisations and government departments looking for A-grade office accommodation in Geelong's CBD. “We’re very excited about this development and its ability to potentially attract and house another major national tenant who will see the benefits of a Geelong base in much the same way as the NDIS, TAC and Worksafe all have,” he said. The Worksafe headquarters, DLT, TAC and NDIS development join the newly proposed $38 million face-lift to the Geelong Performing Arts Centre as the major projects revitalising Geelong. Garland Property managing director Michael DeStefano recently expressed his optimism towards the project to the Geelong Advertiser stating, "with vacancy rates for this type of offering currently sitting at less than 2 per cent, another significant office development of this quality is much needed and very exciting for Geelong". Architectural firms around the world are using adaptive reuse to breathe new life into historic buildings and work around heritage roadblocks in the planning stages of development. Adaptive reuse is a great way of mitigating disused or abandoned buildings and allows cities to conserve their historic value. 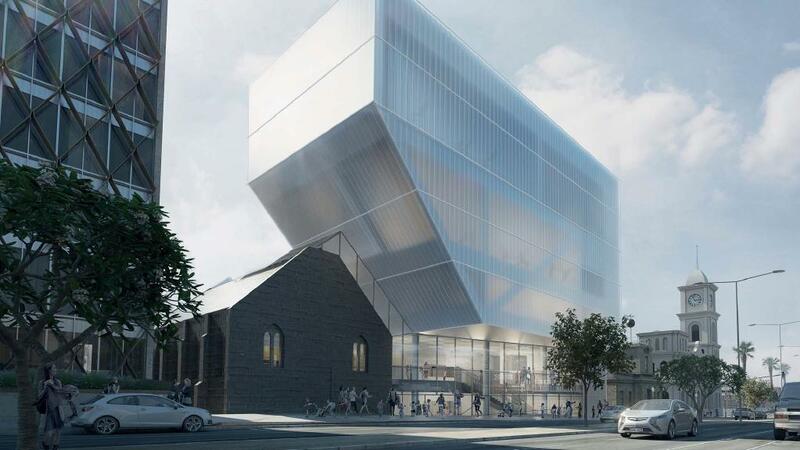 Hassell's principal and head of design, Ben Duckworth told the Geelong Advertiser that adding another layer of history to the building’s ‘story’ was a key consideration. “We’re planning to retain and reuse the existing brick fabric, giving it a new purpose,” he said. “The new facade provides fixed shading to the interior, which will reduce the building’s energy use, but still allow views out.” Duckworth said.